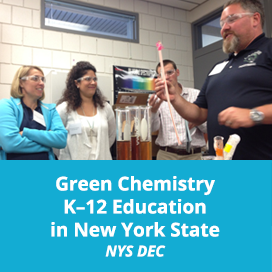 Diverse partnerships are integral to the development and execution of our work to bring green chemistry educational resources to educators, industry and society at large. Individual, foundation, and corporate funders are critical partners in our ongoing goal to apply our expertise, build our capacity to serve and expand our social impact. 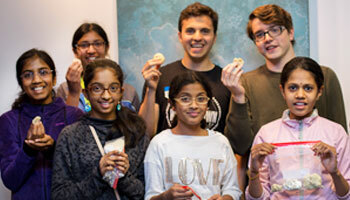 In K-12 education we interface with local groups and national associations supporting science education and professional development opportunities for teachers. In Higher Education we engage directly with Professors and Department Administrators on their multifaceted approaches to augmenting traditional chemistry education with green chemistry and toxicology concepts. 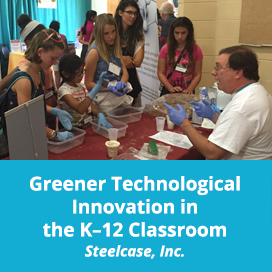 Industry partners provide cutting-edge case studies in green technological innovation, strengthening curriculum links to real-world applications of chemistry in K-12, and making better connections to industrial chemistry in higher education.